kandeej.com: HELP and a big thanks!!!! i just subscribed to your youtube channel and i LOOOOVE your videos.. you are so creative. it would be awesome if you could show us how you make jewelry/accessories. love the videos! ...but I'd reeaalllyy love to see very basic makeup tips, like general eyeshadow "rules" (if there are any). It'd be fun if you had tips for people with deep-set eyes, asian eyes, close eyes, etc. too. i would buy your brushes as i use M.A.C And there shapes are not always very good also i think you should make and sell accessories , i love your style .. I would love if you did some type of beauty tv show! There's this one on YouTube featuring a YouTube makeup artist named Koran and a makeup artist named Eve Pearl that I really like expect I don't like how she only uses her products (I understand why but her products are expensive and I'm not going to go buy them probably). I'm not really sure what other kinds of beauty tv shows are out there; I love those fashion shows like What Not to Wear and stuff like that but I think you mean more beauty than fashion right? So I don't know what else to really say about the tv show aside from I'd totally watch it! And for tutorials, I'd love to see a how-to make jewelry; i've always wanted to learn how to make my own. i have been a subscriber to your channel for a while now, and i would LOVE to buy brushes made by you!!! Would like to say that you are incredibly talented, and it makes my day every time i see that you've made a new video!!! You are amazingly talented person. I always get excited when you post a new video, so I'd love to see more. Yes to jewelry! I make my own stuff aswell, so it would be nice to see how you do it. Girl I love you makeup video's, you have taught me sooo much. I would like to see more on like the eyeshadow application, blending or any tips on applying eyeshadow. I would LOVE to see you in making brushes! I have commented you to see which is your fav brushes and all, So hell yes I would love to see just about whatever you come up with, I think you are so very talented and please don't stop!!!! Hey Kandee, I think the brush line is a great idea, but remember that many people have found companies such as crown brush that offer brushes at pretty rock bottom prices so if you have your own line, you would have to factor in investment, time spent, research, branding, marketing, packaging..if it seems feasible then go ahead. On the other end, there are so many high-end cosmetic companies that sell brushes at insanely high prices and do well to get customers, so that could work in your favour too! Good Luck and i hope your venture goes well. That would be so awesome to come out with your own line of brushes...and maybe your own makeup line?? ;) I would buy everything! I think you are absolutely fantastic! Since watching your videos, you have rekindled my passion for makeup and thus sort of redirected my future professional plans, so I can't thank you enough! I am so excited to see your new videos, you're such a fun and lovely girl! i'd love to see style videos!! jewelry, makeup, and clothes! include ur friends!! love that idea! honestly i'd love a self tanner detailed video. i've bought some but i'm scared to try it! and anything twilight themed! yeah i'm one of those dorks! I would def. buy your brushes. I am constantly looking for the perfect brushes. I love your videos, and I love seeing your makeup looks sometimes I can watch them over and over they're awesome. I also loooooove your anchor necklace its beautiful I think it would be cool to see how you make your accessories. Good Luck!!! I would love to buy your brushes but I'm not from the U.S so unless you'd go international, they'd be out of my reach :). A suggestion: any hair tips for girls with blunt bangs. I feel pretty limited hair-wise because of them but i love love love them so I'm not getting rid of them any time soon :). I really love the ideas you have! ALL of them, theyre great! You should definately do the jewelry and t-shirts too! Im always trying to find more creative ways to wear the t-shirts that ive had for awhile and NEVER wear lol! OMG I would love the idea of new brushes. Its so frustrating, I have different brushes from different companies and the hair falls out, or they are not very soft. So keep us updated if you decide to go that route. I would definatly be interested in trying them out. As for video ideas, if you could do some more hair styles (rockabilly, pinup) and more fashion ideas, that would be awesome. Also if you could do maybe a 2 part video one with a Gwen Stefani hairstyle and then makeup. That would be great. I just want to thank you for all the time you put into these videos. It helps us kandee followers so much. I tell everyone to come to your blog, I love it!!! Keep up the great work! I defiantly agree! I am SO interested in a makeup brush line from Kandee!!! I'm so excited. I'm a freelance Make up artist in little ol Utah haha And you're tips have helped me SO much. You and Kevyn Aucoin have brought me to where I am today. Thank you so much dear! hugs and kisses! You're amazing! Stay gorgeous! Hi Kandee! I totally think that you should make your own line of brushes! I mostly have MAC brushes but since I lost my job a few months back I have been on a serious budget so I had bought a couple Sonia Kashuk brushes at Target and to my suprise they are pretty good brushes. I am sure you have already researched them but if not you should. I would totally buy your make up brushes! I love neutral colours but its nice to use some colours too and would like to see a wider variety of looks with different colours. The ideas of having a bit of a basic skills tutorial would be very beneficial. Outer V's, creases etc. Kandee brushes would be super! I know its kinda a nice idea of having so many brushes for everything. But I would like 1 flat shader, one for blending another for this and that. So you dont have to carry 100 brushes with you if you know what I mean. Im from Australia so I guess going international may not be on the books as of yet. Maybe some looks inspired by some more darker skin tone ladies? Brushes? Why not? It seems like there's a definite niche that needs to be filled. As for your videos, it seems like you have loads of good ideas to pick from, and I'm indiscriminate! I guess I LOVE how-to videos of any kind, especially if you're doing it. I'd like the opportunity for video responses instead of posting pix in the comments...it just seems a little more natural flow of info. Maybe more people would be involved and that would be cool. I love everything you do! I'm your biggest fannnn!!!! Makeup brush idea is great! -Distinctive packaging, not just another old boring black, natural or cheap plastic handle. Something we can totally identify you with. Someone on YT mentioned Ed Hardy-ish I think. I think that's great idea. Like some kind of wild etching or something that goes with your image. -Permanent portion of sales donation to charity. Obviously the cost is important, but I think people will pay the money if they like what they see and they know what exactly they are paying for. I'm no makeup brush expert. You obviously need to do a lot of research and work, but people already love you. Set your goal and I'm sure you'll do great. We are here to support you. Only thing I caution you from doing is that if it's makeup brushes, just do makeup brushes. I'm sure once you become established you can pursue other means, but I think you should go ahead and start with one signature thing and really get known for it before you do anything else. I love your videos. You should continue the pin-up make-up look. Do more hair and style videos too. I heart them all. I would be interested in your brushes. It really depends on how much they would cost though. I was actually just looking at brushes on the internet yesterday (I need some more eye brushes) on crown brushes web site, just because they're inexpensive. I would love to buy some better quality brushes from MAC or someplace else, but I'm a student and therefore, am poor. I guess what I'm saying is that price is the biggest factor for me, but if you're brushes fit into my budget I would buy them. I hope I helped! Keep making videos because we love them! I am always on the lookout for good brushes. However, I'm not really interested in "mass produced" brushes like private label resale or wholesale-quality brushes (someone mentioned crown). While I definitely think those things are good for the price (other than some people marking them waaaay up) - I think the market is glutted with mass produced brushes right now. As for video suggestions - I'd love to see some lessons on the "anatomy" of a makeup look. For example, how to pick shadow colors/finishes that go together (lid, crease, highlight, etc.). How to pick good colors for your skin/hair/eyes. How to accentuate different eye shapes. How to pick blush colors. Stuff like that. Basic stuff, but it can be demonstrated in a unique way. I'd love too know more about face primers. I'm a sweater and I always end up with out any foundation at the end of the day. && I'd also love to know what eyeshadows work for my dark brown eyes and my medium complexion. I'd love the brush idea ... go for it. **SPRING BREAK HELP!!! ** Can you do a video on makeup and hairstyles for the Beach. I hate going to the beach with no makeup and a plain ponytail because we always end up going straight to dinner or to have drinks and I feel frumpy! Also, I have seen alot of celebs wearing accessories with their swimsuits and I want to spice it up. HELP!! Do videos of yourself shopping in the thrift stores - like what you look for and then we can really get the "before and after" effect. I go into thrift stores and get overwhelmed and don't even know what to look for but I know there are tons of "treasures!" i absolutely love your videos - i really think you need to keep making them!! your makeup tutes are so much better than the majority of ones on youtube & i'm always really excited to see what you do next! I think you should keep making makeup vids, inspired by celebrities, movies, new makeup collections; your tutorials are amazing, and you need to keep making them! plus, how about reviews of new or interesting cosmetic products? like the way people make haul videos, but from a pro's point of view? as for the brushes, I think this is interesting, but i'd be more interested in makeup itself - maybe there's a makeup item you could start with and go from there? also, did you hear about lauren luke in the UK? she's on youtube as panacea81 i think, but she literally started churning out how-to video after how-to video (inspired by celebs, music videos etc), and now she's just been given a beauty column in a national newspaper here, and is getting her own makeup line! I think the key is that if you keep making videos and making videos, they're so good that once your following is big enough, the people with the money will come look for you, so you won't have to take a financial risk at all! If you got this many subscribers in such a short period, think what would happen if you were making videos more often! Just my two cents - but KEEP GOING, you're fantastic!!!!! 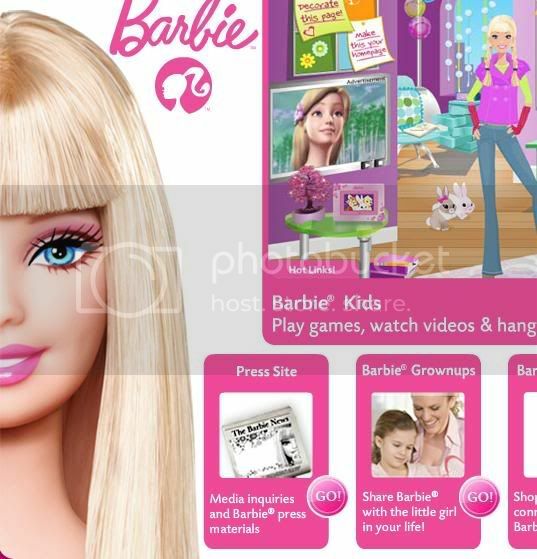 My name URL links to a great Barbie pic that it would be so cool to see your take on! I happened on your videos by accident and really like your style. You are a great role model because you show that fashion should be fun, and style, individual. I used to be part of the fashion world in NYC, and admire when I see this. Your personality is so bubbly and friendly, there is no question that you love life and have joy in what you are doing. I think you should continue to do videos and expand into other areas of style and fashion, not to lead but to inspire, which is your way. Many cosmetics companies got started with few products, and perhaps a limited range of brushes is your beginning; it does sound like you have done extensive research to add to your working experience. Every success to you... you go for it! Hi, I subscribed to many make up artis's videos on youtube but your videos are the most detalied perfections I have ever seen. I especially like your last video when you precisely explained where to use concealer, highlighter, brownser powder etc. I would like to know more about the brows. After using the eyebrow pencil or a little eyeshadow, do you use anything to fix it? Someone mentioned that she uses hairspray but I would like to hear your opinion. thanks for your videos and please do more smokey eyes. I am having trouble finding my "outer v" so I always look like as if someone gave me a punch. Your THE BEST, AWESOME, COOL, FANTASTIC, #1.....UMMM you get the point. The brush idea is fantastic I would love to buy your brushes being that I trust your opinions so much and a veagan brush would be great. I would love to see more makeup vids althoug I do like that you put a spin on things. For your show maybe you could give people celeb makeovers. HUGZ AND KISSEZ! OMG Please do everything you have just said! You're so goo dat what your do and u always have awesome Ideas! I would love to see a tv show with you! My favorite shows atm are 90210 the city and the hills! I love the fashion hair and make up on these shows I think they are fab! I think doing a line of brushes would be awesome! I would definitely buy them!!! Thanks for all the videos you have done - but please do a natalie portman make up look! Also I would love to see more hair style and jewelry videos - thats sounds awesome! I entered your contest - thanks for doing that! You've really inspired me -I want to become a make up artist so badly - I have had such a tough year and I haven't had a passion for anything but now I really want to do this so anymore help on that would be great as well! thanks! I love watching your videos on youtube. I find them so help. I normally don't comment (I know, shame on me >_<) but I couldn't help but comment this time. I've been watching your youtube videos since you first got started and I'm really happy that you've received quite an amount of subscribers. However, at the same time, it's best to take caution. If you want you makeup brushes to sell well then you should wait until you receive more fame on youtube. Even now, there are many people who are unaware of your videos. So you should wait a while. And in that time, you should use the help of your friends to deliver high quality videos. The reason why you haven't skyrocketed in the "youtube super fame" is because the lighting and the low video quality makes it difficult to see your true abilities. Although I can't clearly see how your make up looks like, I have extreme confidence that they are superb. Yet, some people are not sold. I assume your friends in TV/Film may have better equipment for you to use to really broadcast your skills. Additionally, it's also very important to budget wisely. Although, I know you love your subscribers and followers, don't make the brushes if you won't make much profit out of them b/c that'll hurt you in the end. You should ask a consultant and plan the costs (EVERY LITTLE DETAIL) and benefits. Furthermore, it's extremely important that you research your competition. MAC brushes are of great quality but with pricey tags. Yet some are willing to pay for them because they're durable. You want to build up your reputation and your brushes too. Definitely make sure that your brush design is top notch and the quality even better. Ask your fellow makeup artists on what kind of brushes would they like to see and your viewers too. And perhaps you can ask to get featured in a magazine or get connections so you have more publicity. For instance pancea(I forgot how to spell her username) is very lovely and has major advertisement through BBC. I think that the you making your own line of brushes is an AMAZING idea. You know so much about make up that it just shows in your videos, and you are by far the best guru in youtube, so i would def. buy them. All i would request would be good quality but not as expensive as MAC. also maybe a favorite product of the week...were you tell us,,what you think of the product, like a mini haul video or something of the sort. and of course since your my fav make up artist, more make up videos. Jewelry making videos!!!!!!!!!!!!!!!!!!!!!!!!! :) that would be greatly appreciated! Kandee, your makeup and hair looks so good! I would LOVE for more makeup videos, because they are of course my favorite, but also more style and maybe even a jewelry one, because I LOVE the anchor necklace you made! Also the tv show thing is really cool, and so is the idea of brushes. I love my MAC ones, but they are so expensive! You're doing a great job and I appreciate the better lighting in the more recent videos. So keep all of it up, girl, its fantastic. PS, I've been saying prayers for you, if anyone knows about going through tough times, its me, so hang in there babe! I would love it if you could re-create the holly madison look from the girls next door. Her makeup is good and I would like to see that. But what I would really love to see is how to get that hairstyle, with the ringlets at the bottom and smooth on top. Also, what is your opinion of Cinema Secrets and mineral cosmetics like frontface or fyrinnae? Also what do you think of Paula Dorf's www.beautypedia.com aka Cosmetics Cop? Totally go for what's on your mind. I think that would be a great thing to do to get out there. I would definetly want to buy brushes also think about those who cant afford the MAC prices of brushes. About the channel you should continue doing the make up stuff, add a bit off fashion, tips and tricks. Anything GIRLY. Even the jewlery designs. i love your youtube videos personlly i would love to see more hair and t-shirt ideas even thought i love your make-up videos. can't wait to see what you come up with!!!!!!!!!!! 1. I would sooo buy your brushes!! Brushes are something that totally frustrate me -- they cost so much, there's so many of them, and most times I don't know which one to use. Help!! 2. I vote for more make-up and hair videos (maybe Gwen Stefani? and more pin-up stuff! ), but I'd also like to see other style type videos. And if you could tell us things like your fav new products or old classics, that's helpful. Oh, and I know it costs $$$, but a better camera would help us see exactly what you're doing in the videos -- a lot of times it looks all smudgy and off color. More hair and clothing videos would be nice. I would love anything really :) Everything you have shared with us so far has been a great help and I have learned something from every video. I have became your #1 fan. Not kidding. I can't go a day without logging into my youtube account just to see if you posted a new video it has become a daily routine. I know im crazy but I love make-up and that's what I want to become A MAKE-UP ARTIST.. I would always do all this research on tutorials until I came across yours I haven't done any more research. What you do is amazing you have so much talent. About the BRUSH idea.. I think it's great and you should def. go for it. I would totally buy them if they're not that expensive. I also have a suggestion if you want to look into it, maybe you should make your own make-up palettes and sell them as well I know I would be very into that i love searching for new colors to buy. I love your style, personality && all the knowledge you share with everyone. You are great. I LOVE LOVE YOUR VIDEOS im addicted HAHAHHA.. I HOPE & WISH FOR THE BEST FOR YOU. EVERYTHING WILL GO GREAT IF YOU HAVE FAITH AND BELIEVE IN WHAT YOU DO. I love your blog!!! I love all the makeup tips and tricks. I totally think you should make brushes!! I like mac brushes the best and I have tried others that I am not that big a fan of. I would love to see a brush that you designed since you work with them so much. I love all the post just keep them coming! One question, in one of your videos you had on an anchor necklace, where did you get it from? p.s. i'm a jewelry designer as well... i'd love to see your designs!! good luck i love your videos!!! Jewelry making YES YES! I am so trying to learn to make bracelets, cuff style or bangle bracelets---but any jewelry making advice or instructions would be great! Hi Kandee! I just started following your blog and watching the youtube videos and I love them! Great Job! I am going to be going to Costa Rica soon and I don't want to take a huge amount of cosmetics and such, so I was wondering if you would have time to do a video on a fresh makeup look. What products do you think would be good to take to a tropical beachy location that would have long stay power and a natural look? Thanks so much for all the videos thus far! They are very helpful! Hi Kandee... Would love to see how to make jewelry. When u did the video of our closet and were talking about all the pieces you made, I was sooooo impressed. Would love to figure out how to do that. At the moment I am in love with statement pieces - big and bold colors (like the yellow anchor necklace from your video). Hope to see some videos soon Take care and a BIG thank you as always for all the fab advice!! yes yes yes ive always wanted to know the insight on brushes.the different types of hair, shapes and y its so important and what r the benefits of specific brushes.thank u thank u thank u. Surely i definitly buy your products... i love your videos, i love your makeups.. i use lot black dresses etc... so i love to see a basic black makeup.. i like a drmatic type but not to much... Girlll you rockk. seriouslyy thankss a lott for all the videoo.. hiiiii!!! !i looooove your make up!! !you've helped me a lot..I'm a make up artist and I work for Bobbi Brown!I really love the make up old porcelain dolls had!I do it on myself (red hair helps)..it's so theatrical..I want to see how you would do it..you are amazing!thanx so much!kisses!! ok, so i watched your video about the make up brushes and yes you would invest your money and time but you already are known on the web so all your viewers would probably be encouraged to buy. i was also thinking about how you said that a lot of the mac make up is discontinued...what about starting your own line of make up after the brushes since you seem to have favorite colors and have like different "looks" which can categorize your make up. since your name is creative (kandee) you can use that since everyone knows you by that. by the way, i learned about you in my fashion marketing class, we watched your video on how you became a make up artist and now i was basically spending my time watching your videos. i realized i need to invest in brushes. i was wondering if you have something other htan fake eyelashes to make your eyelashes seem fuller because mine is really thin. i use lancome make up because the cheaper kind give me an allergic reaction and make my eyes burn? thanks! you really are an inspiration! I just want to say love your videos, I have a request about styling, I've got some bad scars on the upperside of my lower arms. I don't want people to see them, they are so ugly, so I wonder if you got any ideas how to cover up, (saw you got some kind of "armwarmers"?) Maybe you make them your self? and make some kind of video or other ideas?, so I still can wear t-shirts and tops over the summer. I think a line of brushes would be ace if you do them you should find a way to market them in with your tutorials. When i buy makeup brushes i always worrying I'm buying the wrong sort for the job ect. Id like to see more makeup tutorials using brighter lip colours ect i wear a lot of fuchsias and fire engine red lipstick and aside from just regular lined slightly cat eyes i have no clue what to mix it with. Hi Kandee! I love your videos and think you are amazingly beautiful. My request/feedback is: I am 54 years old and STILL love makeup! I watched your video with your mom and she is classy and beautiful. I wondered if when you do videos you could comment on whether certain colors, textures, glimmers, etc. would be good, bad, etc. for the 40's to 50's. There aren't many videos out there for this age group. Or maybe do videos, for example, for "women with hooded eyelids, mature skin etc. I also think it would be a great idea about the makeup brushes! Keep the videos coming! THANKS! Yes! That would be so cool if you made your own line of brushes :) That would be an investment I would be so happy to make because I trust﻿ you and I support you in what you do here online so I would love to help kind of in another way by buying your products. Thank you for everything! You do more than you know for so many people!! I just discovered you the other day and have been watching all your videos and loving it! I am trying to improve putting makeup on other people (I work at a makeup counter). Can you please make some videos that show you applying MASCARA and EYELINER on OTHER people other than yourself (even though you are so pretty and have beautiful bone structure) and easy on the eyes. I always have problems with the liner on the person's right eye (I am right handed) Any tips? I also feel nervous that I'm going to irritate their eyes. Also, please, please, please, find some people as models that have specific features of their eyes that make it trickier for makeup like very saggy eyes (older people) or someone with super deep set eyes. You get the picture. 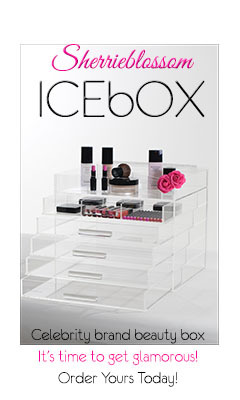 This would all help any aspiring makeup artists! Thanks You and I also think you should do the makeup brushes. I would buy them because there is so much room for improvement in the brush business and you definitely know your stuff!!! Good luck! !